Negotiators for Likud/Yisrael Beiteinu, Bayit Yehudi, and Yesh Atid took a break from negotiations Monday night. According to Channel One, the coalition agreement that will form Israel's next government is complete, and Prime Minister Binyamin Netanyahu will make every effort to sign a deal with his coalition partners on Monday night, if possible. 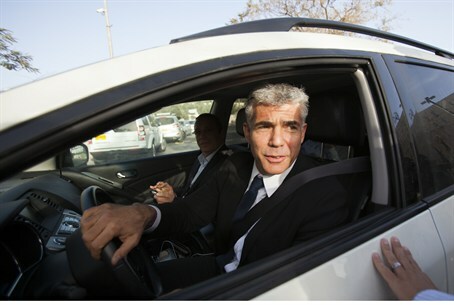 One of the main points of contention – the number of ministers in the government, has been resolved, with a clear victory for Yesh Atid. The government will include only 20 ministers and eight deputy ministers, nearly half the total of both officials as served in the outgoing government. The Likud/Yisrael Beiteinu will receive eleven of those ministries, with Yesh Atid taking five and Bayit Yehudi four. Tzippy Livni of Hatn'ua has already been tapped for Justice Minister. During the negotiation process, the identities of several of the ministers were leaked. Moshe Ya'alon is set to be named Defense Minister, Yair Lapid is to be named Finance Minister, and Naftali Bennett will be Minister of Industry, Trade and Labor. Uri Ariel, number two on the Bayit Yehudi list, is set to be named Housing Minister. Still up in the air is the identity of the Interior and Education Minister, with Netanyahu preferring to retain at least the latter for his party. The reason for this, sources said, is to ensure that the hareidi education system is treated fairly, since the hareidi parties will not be members of the government.